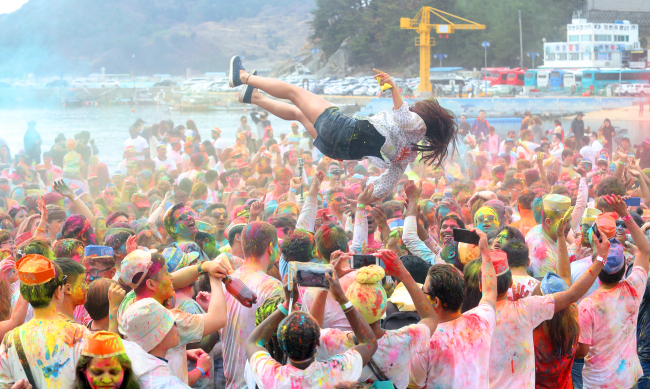 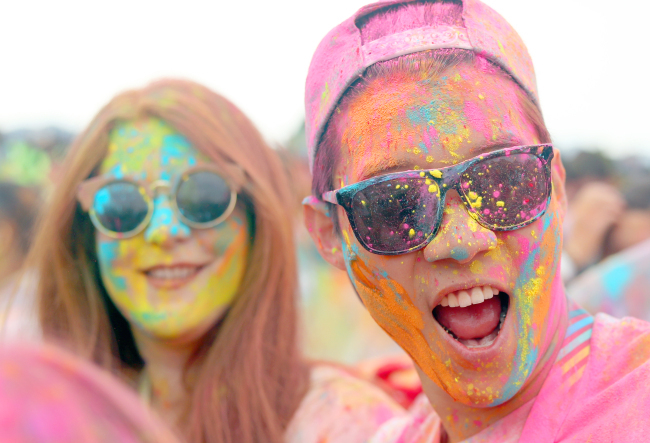 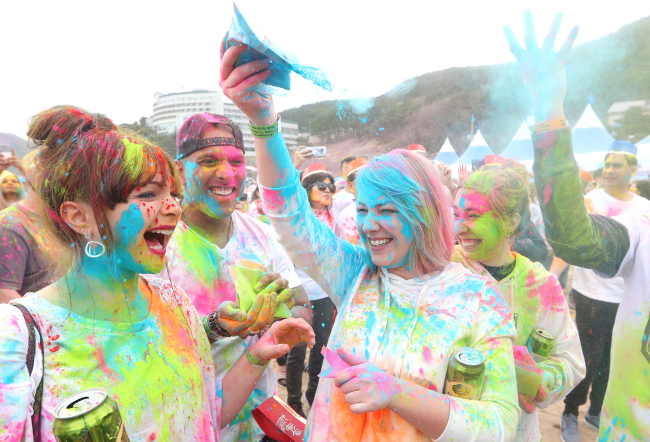 International visitors transformed into a palette of vibrant hues at the Holi Hai Festival of Colors, taking place on Wahyeon Beach in Geoje, South Gyeongsang Province, Sunday. 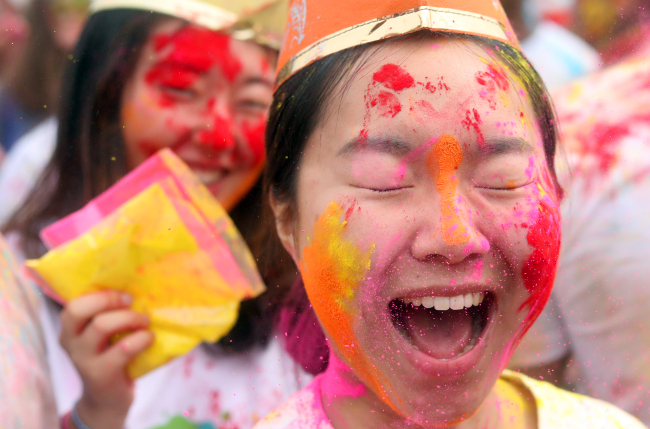 The eighth annual festival, dubbed the “happiest event” in Korea, celebrates the coming of spring, the joy of friendship and values such as equality, while encouraging harmony between ethnicities and nationalities. 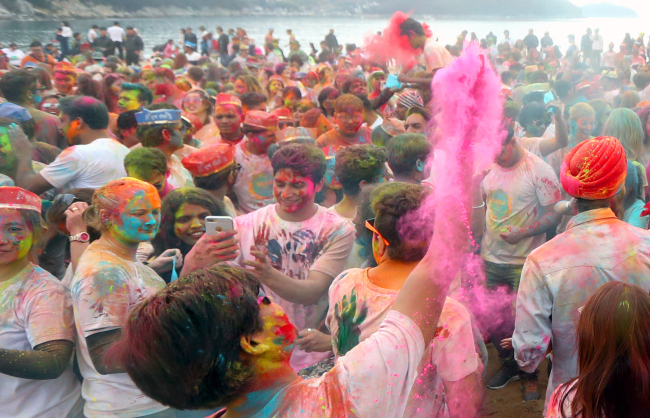 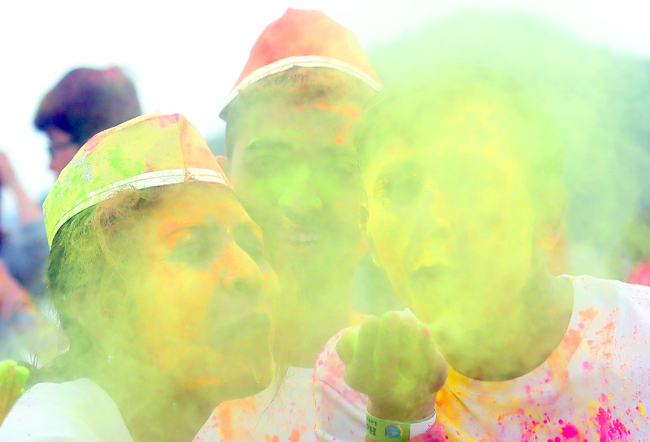 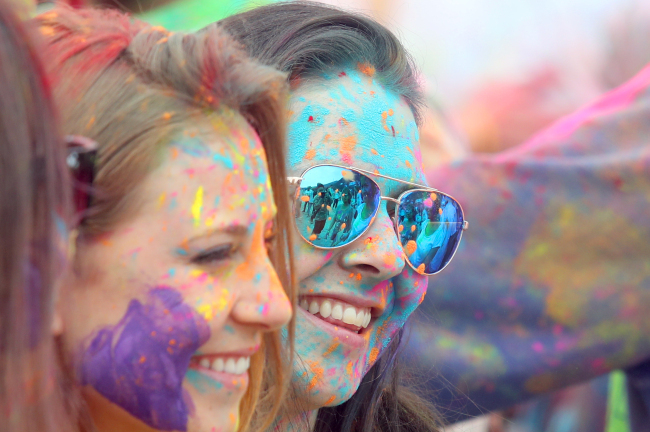 The festival is held to mark the Indian end-of-winter festival of Holi, which people celebrate by spattering colored powders and dyes on each other. 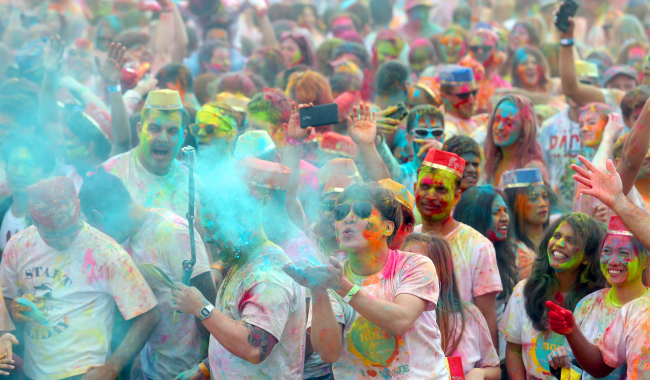 The event has been hosted by an organization called Indians in Korea since 2011. 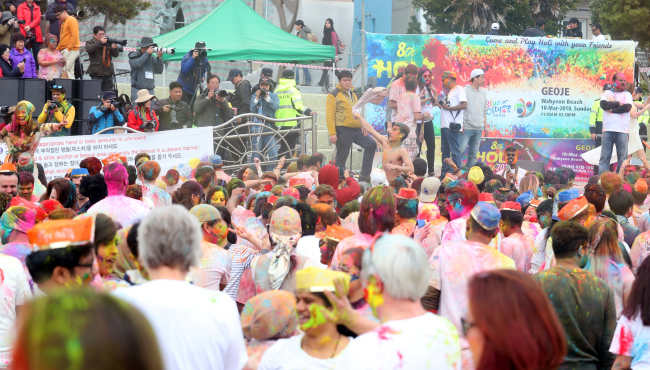 Some 3,500 participants crowded the beach in Busan for last year’s event.